Belas Clube de Campo golf course is a “Championship Golf Course” incorporating an excellent layout with fairways and greens situated in deep valleys providing exceptional views of the local landscape. The course offers a total golfing experience pleasing everyone no matter what their handicap. 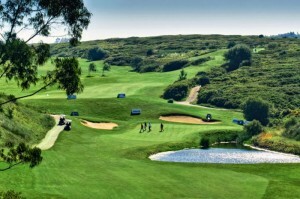 It demands technique and strategy and is recognised nationally and internationally as one of the best golf courses in Portugal. Belas Clube de Campo golf course is operated on a System of Quality and Environment Management (SQEM) and has been certified according to EN ISO 9001 Quality Norms and ISO EN ISO 14001 Environment Norms and follows the European Program “Committed to Green”.